Whether you’re Irish or not, we all like celebrating St. Patrick’s Day. What more could you ask for from an online casino promotion than a day filled with shamrocks and leprechauns! Black Lotus Casino hosts a large number of promotional offers along with the casino’s Daily Promotions. The lucky leprechauns spend their time fixing shoes and placing pots of gold at the end of rainbows. They may even grant you wishes if you find them. The shamrock, or three-leaved clover is synonymous with Ireland, and of course St. Patrick’s Day. The day is filled with green and gold, and is a win-win situation. Get 100 free spins as many times as you wish in the Green vs Gold promo. 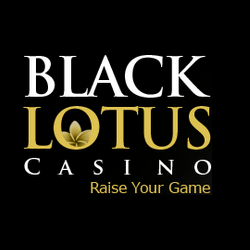 Simply deposit $100 at Black Lotus Casino, enter the special coupon code, and enjoy free spins. Redeem the 100 free spins on the Spartian slot game when you enter the 100GREEN coupon code. In addition to the Spartians free spins, there are free spins on Throne of Gold. Enjoy 100 free spins on the Throne of Gold slot game with a $100 deposit. Redeem this golden offer with the 100GOLD coupon code. Green vs Gold is a great free spins offer. In addition to this, enjoy a match deposit bonus plus free spins in another special offer. You don’t have to look very hard or very far for these extra bonus offers. Once a day there is a match deposit and free spins offer available for players. Start with an 85% match deposit bonus offer up to $850. Simply deposit $85, enter the MARDY85 coupon code, and get playing. Along with the match deposit bonus, there are free spins up for grabs. You get 80 free spins on the Gems n Jewels slot game. The free spins are simply added in after the match deposit bonus. There is no need for an additional deposit! Redeem the free spins after the 85% match deposit bonus with the MARDY80 coupon code. Please note: Play this offer in sequence. Start with the match deposit bonus offer, followed with the free spins. Last updated by Shannon on March 16, 2019 .